A full-sized, full-featured cart bag, Sun Mountain Sports' Tour Series is designed for riding and push cart use. The Tour Series has more traditional cart bag styling with ten pockets available to organize your gear. Its spacious, four-way top with full-length dividers makes pulling clubs easy. A full-sized, full-featured cart bag, Sun Mountain Sports &apos; Tour Series is designed for riding and push cart use. 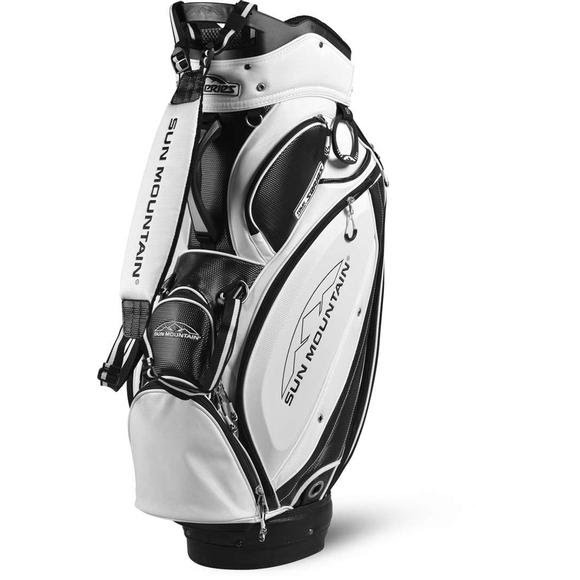 The Tour Series has more traditional cart bag styling with ten pockets available to organize your gear. Its spacious, four-way top with full-length dividers makes pulling clubs easy.